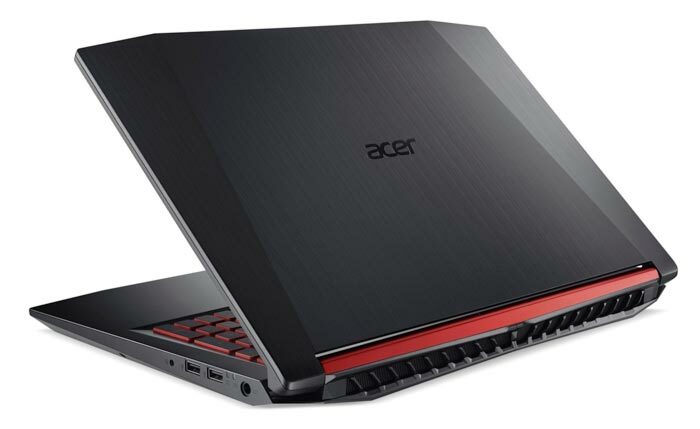 PC systems and peripherals maker Acer has today launched its All-New Nitro 5 Notebook Line for Casual Gaming. The idea behind the line is to provide a laptop with the performance to play modern PC titles at a mainstream price. With this aim in mind Acer offers a wide range of processor choice from both Intel and AMD and GPU choices from AMD and Nvidia, plus Acer Coolboost technology, and "razor sharp design". To meet its 'mainstream' goal pricing must be right, and in the US pricing does indeed start at $799, however over here in Europe the entry level is a significantly higher €1,099 for some reason. 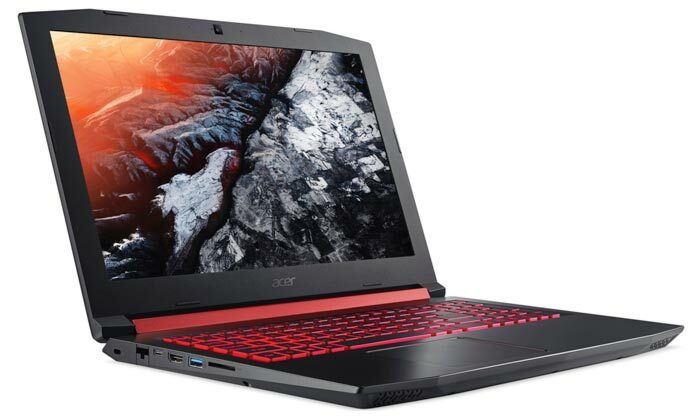 Whichever model of Acer Nitro 5 you get it will offer a "vibrant 15.6-inch FHD (1920 x 1080) IPS display, while Dolby Audio Premium and Acer TrueHarmony technology provides incredible sound depth". That's the backbone of the computer for enjoying immersive gaming and watching movies. Looking at CPU and GPU choices is a lot more complicated. As a big player in the PC systems market Acer offers a wide choice here, with lots of component permutations available. For CPUs there's a choice of 7th Generation Intel Core i7 or i5 processors, or AMD 7th Generation AMD A-series FX, A12 or A10 APUs. Then there are graphics options up to Nvidia GeForce GTX 1050 Ti or AMD Radeon RX550 graphics. It's not clear what the entry level machines offer in spec terms, from Acer's press release, and these are details which are important to this value proposition. In other key specifications the Acer Nitro 5's Coolboost technology is trumpeted for getting the most out of the processing power equipped. All systems feature this tech which is based upon twin cooling fans and accessory software for cooling profile adjustment and monitoring. The choices don't let up as we move onto storage and memory options. It's possible to configure an Acer Nitro 5 with a PCIe SSD (up to 512GB) paired with an optional HDD for storage (up to 2TB). Memory support plateaus at 32GB of DDR4 2400MHz RAM. A comprehensive selection of ports is available for users with one USB 3.1 Type-C (Gen 1) port, one USB 3.0 port with power-off charging, two USB 2.0 ports, and an HDMI 2.0 port which can support up to 90Hz refresh rates. 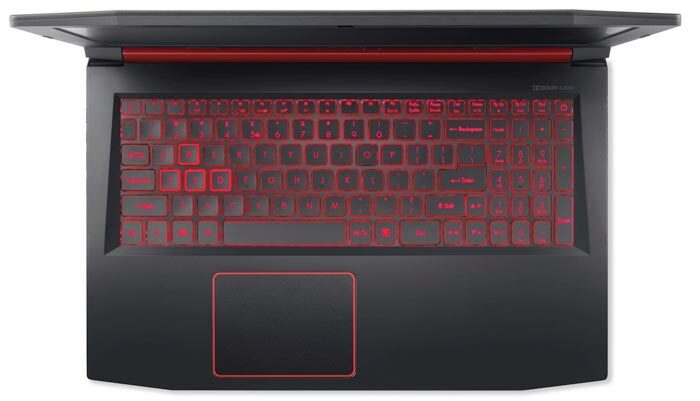 This gaming laptop has a matte black chassis with bold venting round the back, and a sleek red hinge line. Its keyboard has matching red backlighting with the WASD keys and touchpad further highlighted with red outlines. 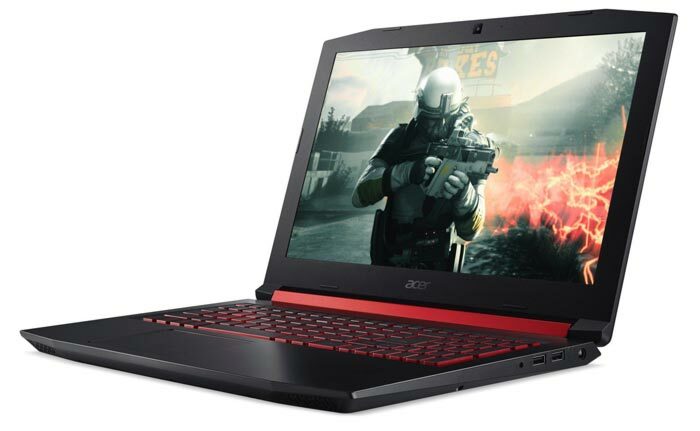 As mentioned in the intro, the starting price for the Acer Nitro 5 laptop is $799 in the US, where it will become available from July, in Europe the pricing starts at €1,099 and availability is scheduled for August. Hopefully the European version has a better minimum spec to justify the price hike. All I saw was “Laptop”, “GTX 1050Ti” and “$799” and thought hmmmmmmm. Then I read through and see the European starting price at $1099 and a RX550 and thought ohhhhhhh. Nice pricing… in the US. Is this the first showing of a mobile Polaris 12, if not mobile Polaris at all outside of Apple?